Professor Christine Bennett is the Dean of the School of Medicine, at The University of Notre Dame in Sydney. 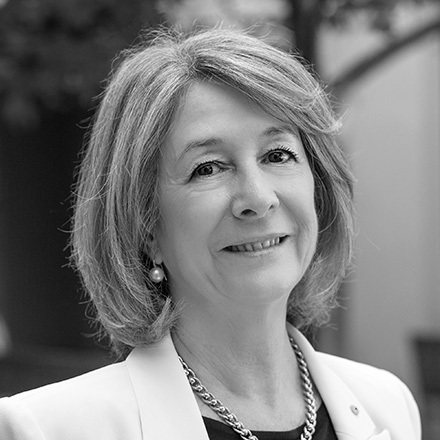 Professor Bennett was awarded an Officer of the Order of Australia in the Australia Day 2014 Honours List recognising her distinguished service to medicine and health care leadership. She is a Fellow of the Royal Australasian College of Physicians, the former Chair of the National Health and Hospitals Reform Commission and the former Chief Medical Officer for Bupa Australia Group. Professor Bennett’s experience has included being Partner in Health and Life Sciences for KPMG Australia, CEO of Research Australia, CEO of Westmead Hospital, General Manager for the Royal Hospital for Women and Head of Planning in NSW Health. She is currently Chair of Research Australia – an alliance of over 170 member organisations promoting health and medical research in Australia; The Sydney Children’s Hospitals Network in NSW; and the Bupa Health Foundation Steering Committee. She also sits on the boards of Obesity Australia, Bupa Health Dialog and the Integrated Clinical Oncology Network. Among her many other distinctions, Professor Bennett was selected in 2013 as a Finalist in NSW for Australian of the Year.